I have to confess, I don’t do a whole lot of cooking in the summer. Salads rule most days, and any cooking takes place outside on the grill. My favorite dinners are when I invite a few girls over, and we float in the pool, sip wine from my Govino wine glasses, (Hello – they float!) munch on snacks and appetizers, and call it a meal. Being an empty nester has LOTS of benefits! One of my favorite short cut ingredients that always helps to save time and energy in the kitchen is Dorot frozen, pre-portioned herbs. I love keeping them stocked in my freezer, because it always seems that when I need fresh herbs for a recipe, I’m either out, or they’re limp or moldy, or the ones in my garden are too dried out wilted from the heat and sun. I love Dorot, because they do all of the chopping and portioning for you. 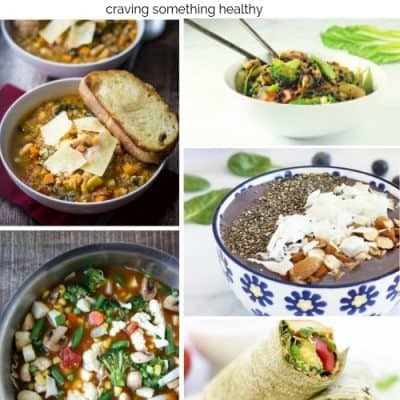 All you have to do is pop one or two out and into your recipe. SO easy and convenient! 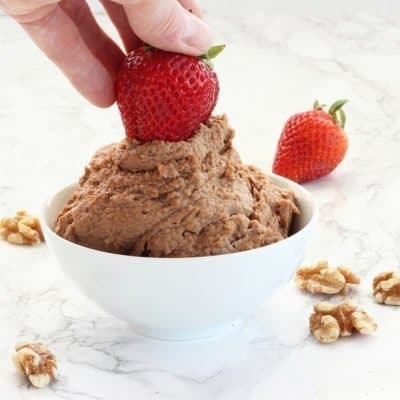 I use them in everything from breakfast smoothie bowls, to crockpot recipes, to this ridiculously easy white bean dip that honestly takes just one minute to make. 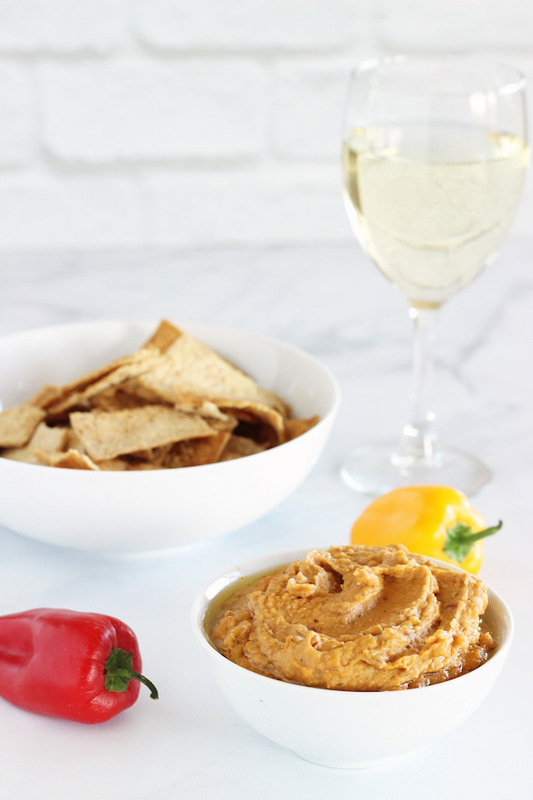 Just add some pita chips, or fresh vegetables, and a cool beverage of your choice, and you’re done! 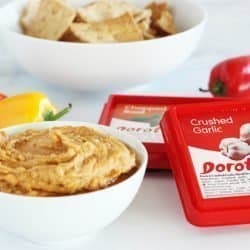 Whether you’re having an impromptu summer cocktail party on the patio, or “dinner” in the pool, Dorot herbs will absolutely make your life just a little bit easier. Place the beans, sun-dried tomatoes, garlic and basil and about 2 tablespoons of olive oil in the bowl of a food processor and process to combine. Slowly add the additional oil until the desired consistency is achieved. Add the salt to taste and process until the dip is smooth. 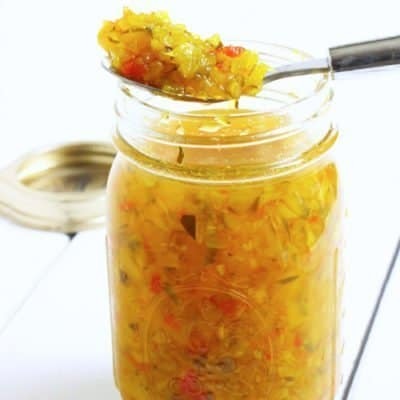 Serve with pita chips, fresh vegetables, or as a sandwich spread. Store any leftover dip in a covered bowl in the refrigerator for up to 4 days. 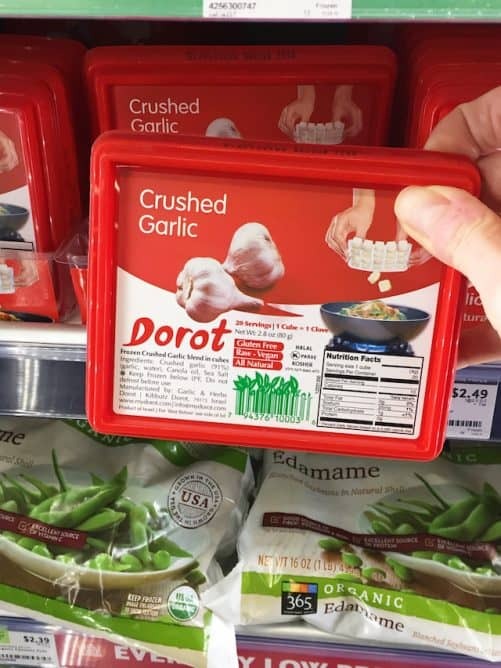 Look for Dorot frozen herbs in your store’s freezer section. I find them at Whole Foods or Trader Joe’s. What’s on your summer dinner menu? Check out Dorot’s website to see how it can make your summer so much easier. Previous Post: « What Really Goes on Inside Your Gut? 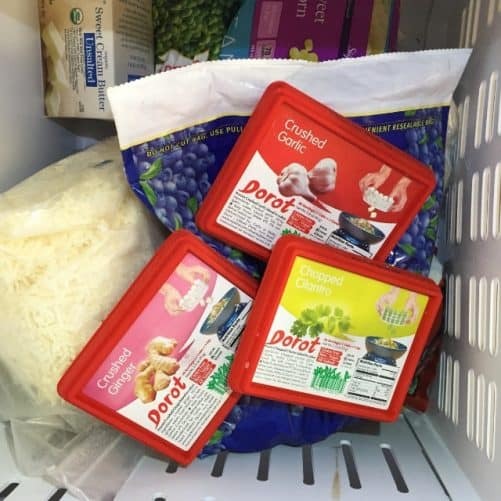 I love how convenient Dorot frozen herbs are! And that dip sounds simply delicious! Thanks so much Sonali! 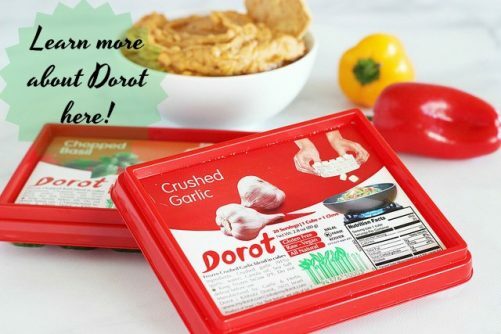 I love Dorot – always have some in my freezer! 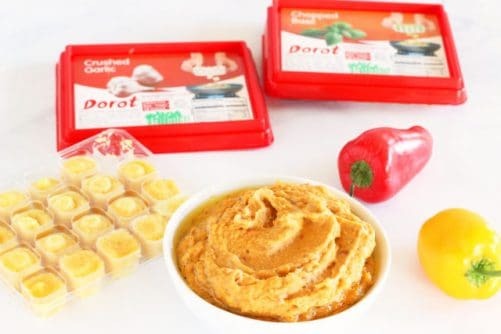 Love Dorot cubes! 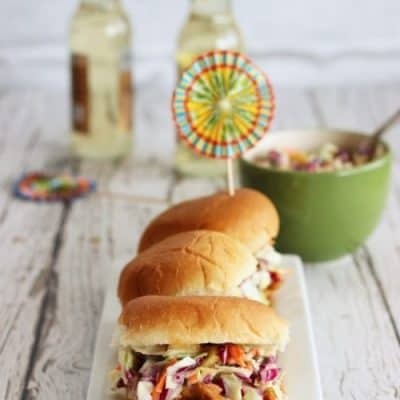 And love the simplicity of this recipe – looks delish! Thanks for stopping by Jenny! 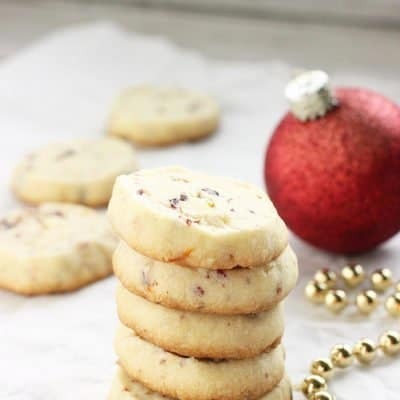 I love how quick and easy they make this recipe! Count me in! Especially for the glass of wine with your Amazing company! Oh, I wish you could come over!! 1 minute? Sold! This is a great idea for quick entertaining. Thanks Marisa! Yes, it is SO easy!